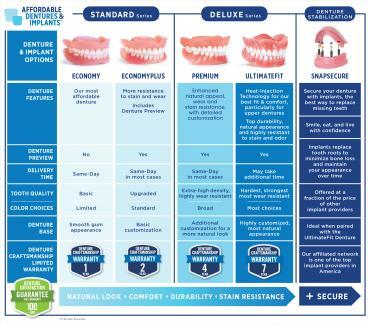 New Braunfels, Texas Affordable Dentures & Crowns offers several styles of full dentures, each with special features and advantages. It’s part of our mission to put transformation within reach. See below for more details, or call us at 830-476-3038 if you have a question about a particular style. 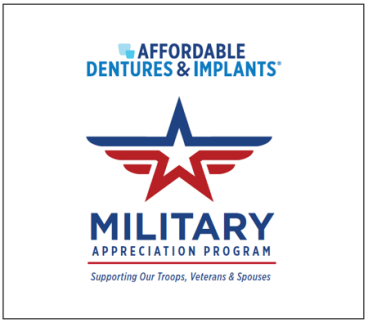 Each day, Affordable Dentures & Crowns® improves the lives of patients in New Braunfels, TX. Through continued innovation in affordability, speed, accessibility, and patient satisfaction, we meet the diverse needs of our community. Both English and Spanish are spoken at our office. Since we can produce implant prostheses and dentures right here in our on-site lab, we’re able to save our patients the expense of paying for work that is outsourced. Our highly skilled technicians have crafted thousands of dentures and implants and will do their best to provide you with same-day service. Our dentures and implants can accommodate as many teeth as our patients are missing and may provide you with a number of benefits, including support for the underlying bone structure of your mouth. If you need an extraction, a reline, or an adjustment, we’ll be happy to supply you with these services as well. We’re able to give all patients a good reason to smile by offering comprehensive solutions throughout the city of New Braunfels. Contact Affordable Dentures & Implants today to ask about our denture options or to see if you’re a candidate for dental implants. Our experienced dentist, Kelvin A. Simmons, DDS, MICOI, FAAIP, will help you find a great match for your needs. He offers compassionate care delivered with dignity and respect to everyone in our community. As a graduate of the Baylor College of Dentistry, Dr. Simmons can provide you with a wide range of denture and implant solutions. He independently owns and operates our office and hopes to see you soon. Appointments with Dr. Simmons are available Monday - Friday. Please fill out the form below to request an appointment. For immediate assistance, please call us at 830-476-3038.